We are all tempted to think at a time that the image we display is on the first place among the most important qualities of us. The way we look can influence how we are perceived by those around us, neighbors, colleagues at school or even some strangers. It can determine a possible employment, once finding a good job or on the contrary, our dismissals as we no longer satisfy the qualities needed to occupy that post. Why do we care so much about our look? Because it represents us totally, it tells who we are, how we sleep and what we eat. But first of all, our image determines self-esteem and confidence in ourselves. From little things like hair color to what size we have in waist can influence own opinion. A small esthetic problem can automatically straighten us to a wrong direction and idea. And this is a simple example because if we start to resort to different methods or plastic surgery to improve the look we forget what is really valuable, namely, our health. Diets, plastic surgery, exposure to all kinds of harmful ways can absolutely influence health in a negative way. But why we resort to those methods? What leads us to adopt extreme methods? Certainly because we think we have a good opinion about the media and what it promotes: the image of perfect woman, of flawless models that parade on all international catwalks. Are promoted artificial beauties whose skin has no imperfection, perfectly curled hair and a body very well done. Everything is perfect, those stars look perfect just for the image. What actually is hiding behind this image? A lot of restraints on what makes us truly happy. What risks they run? A lot. Starting with lack of private lives due to the desire of making them known, to health injury because of the fact of looking better, generally girls are exposed from childhood to a disease that grinds them both inside and outside: the anorexia. 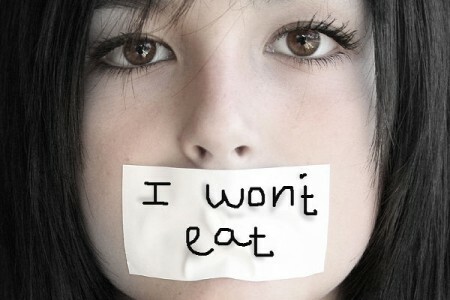 Anorexia is nothing more than a disease (which can be both physical and psychical) in which sick person starves herself. This disease should not be overlooked because it can cause serious problems if is not treated in time: one in ten cases of anorexia ends in death. What is worse is that anorexia can be installed from a very young age. You cannot stay indifferent when you hear that girls that are between the ages of 15-20 years want to look like the models on TV. Unfortunately, if you don’t give them a special attention can be reached to a serious situation. How do you know if a person is anorexic? An anorexic person weighs 85% less than another of the same age and height. That person keeps constantly diets or is not eating at all, is obsessed with exercises and slimming medicines. They are dressed in long and wide clothes to hide their body shape. For fear, will never eat in the presence of another person, they hide food following to throw it to avoid its consumption. Such a person is constantly on theme with websites and books for slimming. From the physical point of view, their skin loses its vitality, will have frequently dizziness and headaches, low blood pressure, cessation of menstruation, constipation, bruising or corns over the knuckles and red eyes. To integrate into society the anorexic person will become obsessed with the perfection. Besides, he has oscillatory emotional states and will be permanently depressed and tired. Is considered a not integrated due to lack of self-esteem and sense of worthlessness. Those who starve have panic attacks, are confused and introverted. Can be treated the anorexia? As for any other disease even anorexia have a treatment. Depending on how advanced is, the treatment can take weeks, months or even years. First, it is very important that the sick person realize is suffering from this dietary imbalance, accept specialized help and support, but first the support of their family and their loved ones. In terms of diet, anorexics will not be able to return at once to the initial weight and have the same appetite. It is recommended that they consume more fruits and vegetables (oranges, sour grapes, lime, ginger, apples and garlic) to stimulate the digestive system and increase appetite. All these foods should be consumed in the diet recommended by the nutritionist. 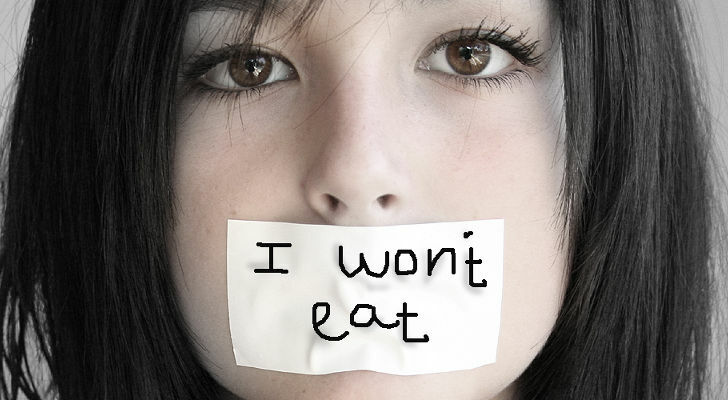 Anorexia is a disease that once installed take over the psyche and health. Wishing to look better and be accepted by society, we are willing to forget the things that make us happy and fulfilled in this world. A perfect look is not an ideal. A true ideal are our dreams for which we fight in order to accomplish. Therefore we must not be careless once we met a person who carries on his shoulders such a disease. A tip, a good thought, a single word can do wonders. So, my dear, do not forget to love!